Welcome to Chisholm Trail Orthopedics & Sports Medicine, LLLP. We take pride in providing personalized and state of the art care for our patients. We have been providing quality care to the surrounding area for over 20 years. We provide all aspects of conservative and surgical musculoskeletal care. Same day appointments are often available for urgent injuries or conditions. Chisholm Trail Orthopedics & Sports Medicine welcomes its newest member - Dr. D. Bradley Minor, fellowship-trained total joint replacement specialist. Dr. Minor treats patients suffering from knee and hip arthritis utilizing both conservative and surgical care. He is trained in minimally invasive techniques including anterior hip replacement, total and partial knee replacement, and complex revision of prior joint replacements. For certain patients, knee and hip replacements can now be performed on an outpatient basis. Dr. Minor was born and raised in Fort Worth and is proud to be returning to his roots in Texas. He will be providing care at Cleburne Surgery Center, Harris Southwest, and Texas Health Cleburne. Dr. Minor is now accepting new patients. For more information, contact our office at 817-556-3212. Our practice has exciting news, and we wanted you to be the first to know! We are excited to announce that our practice, Cleburne Orthopedics & Sports Medicine, will now be called Chisholm Trail Orthopedics & Sports Medicine. Rest assured that the same great doctors will be delivering the same great care to our patients. Our practice has not been sold. Our leadership has not changed. Additionally, now more than ever, our practice remains independent and committed to exceptional patient care. All of our surgeons will continue to see patients at the same Cleburne location where we have been located for seven years. Along with our staff, Dr. Blaine Farless, Dr. Brad Harman, and Dr. Braden Moore look forward to continuing to serve our patients. Thank you for entrusting us with your care. We are excited to continue to care for all your orthopedic and sports medicine needs – with the same great doctors delivering the same great care since 1993. 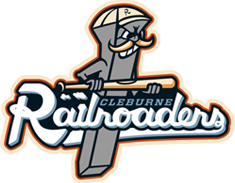 Cleburne Orthopedics is proud to announce our partnership with our new local baseball team, the Cleburne Railroaders! Dr. Farless, Dr. Harman, Dr. Moore, Jacob Lustgarten PA-C, and Nathaniel Berrios PA-C will provide sports medicine care for the baseball team throughout the season and offseaon. We are also proud sponsors of the kids' play zone located in right field. Cleburne Orthopedics welcomes Braden Moore, DPM and Jacob Lustgarten, PA-C to the practice. Dr. Moore is a Cleburne native who recently returned to the area from Chicago. He completed a 3 year residency at Cook County Hospital and Advocate Illinois Masonic Medical Center in all aspects of foot and ankle care including reconstructive procedures as well as conservative care. He is a graduate of Texas Christian University and Cleburne High School. 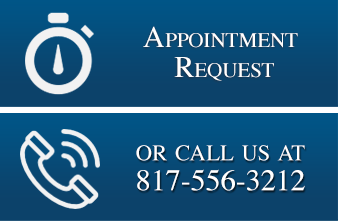 He is now accepting new patients and providing care at our Cleburne location. Jacob Lustgarten, PA-C has joined our practice assisting Dr. Harman following his graduation from UNT Health Science Center in Fort Worth. He is a graduate of Texas Tech University and holds a Masters and Bachelors degree in Zoology.